Fifth Third Bank, one of the nation’s oldest regional banks, was ready to launch their new Fifth Third Direct Program for Wholesale Banking customers. 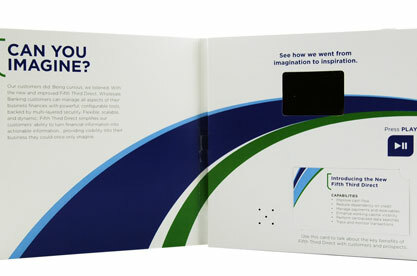 Fifth Third needed an effective way to deliver their message and to promote the new program to current customers as well as pros- pects. In today’s digital world, Fifth Third Bank realized that the best way to reach its target audience was with innovative technology and engaging content. 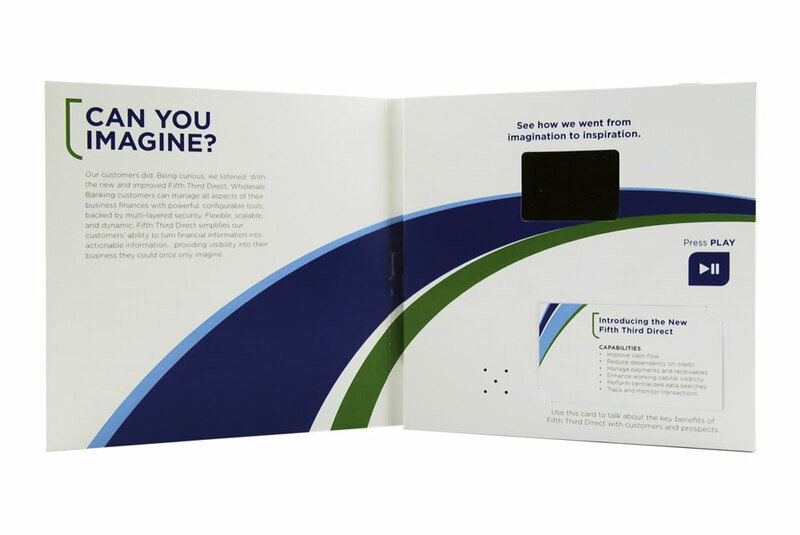 In order to meet their objectives, Fifth Third Bank and its Ad Agency worked with Americhip to develop and produce a promotional card that utilized Americhip’s Video in PrintTM Technology. 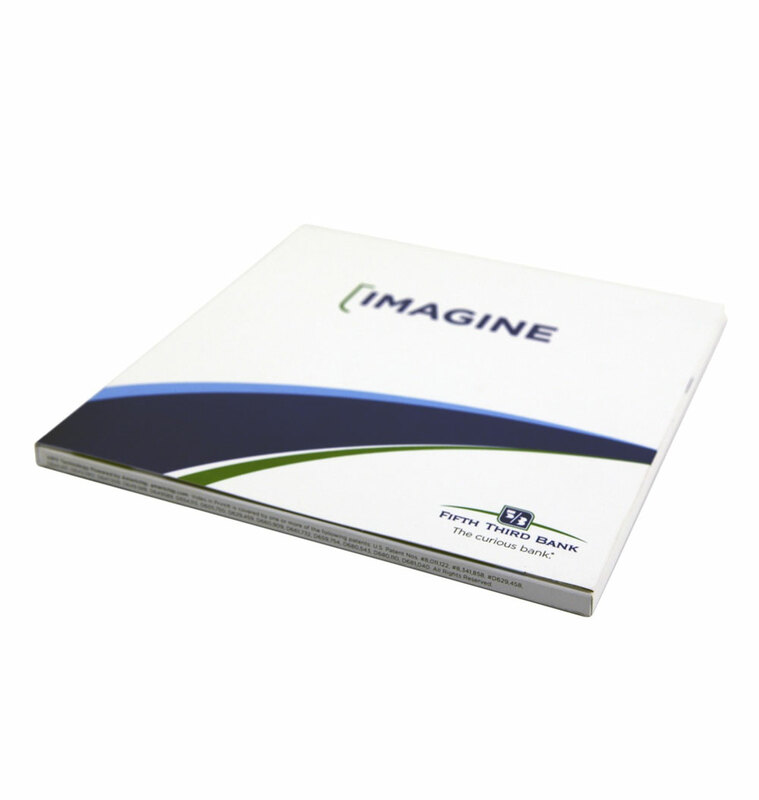 To set the stage, the card stated a simple question...”Can you imagine?”. 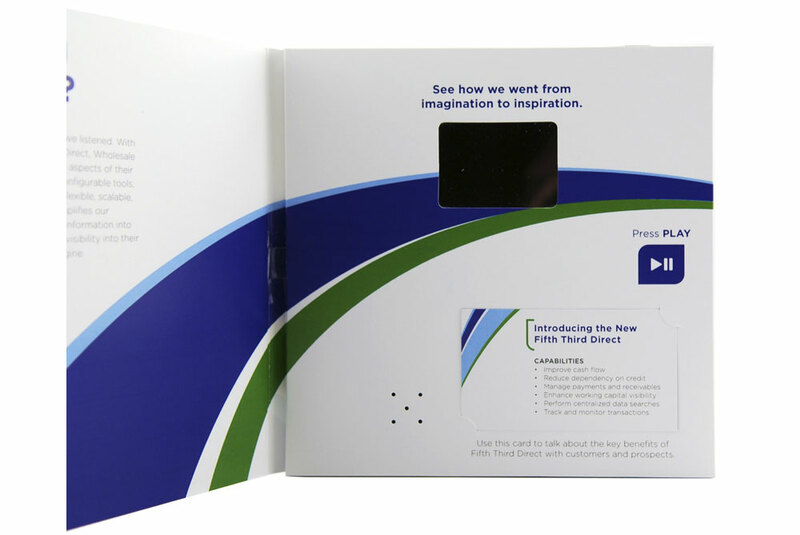 With this in mind, audiences didn’t have to “imagine” what the new program offered, they were now able to actually view video content that showcased the new features and benefits of new Fifth Third Direct program. 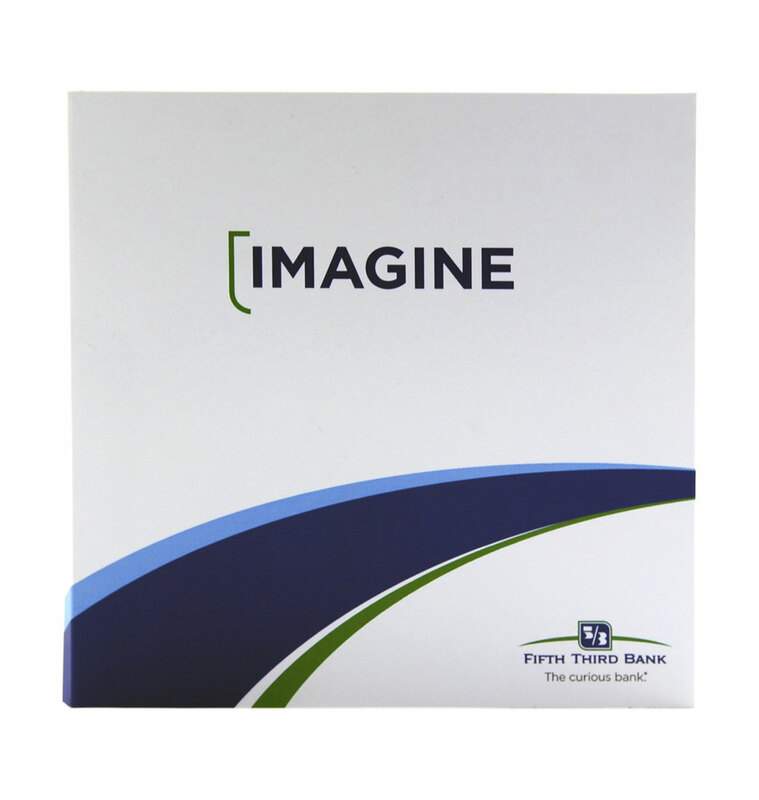 There were two calls to action from both the video and a card insert, making this marketing piece a simple yet effective vehicle to promote Fifth Third Bank’s Brand and its new and improved wholesale banking program.